This all-star coach’s impact on Metro League basketball. Garfield has been a basketball school for as long as anyone in Seattle can remember. After narrowly losing the state championship to Nathan Hale in 2017, the boys team was hungry for another shot at a state ring. 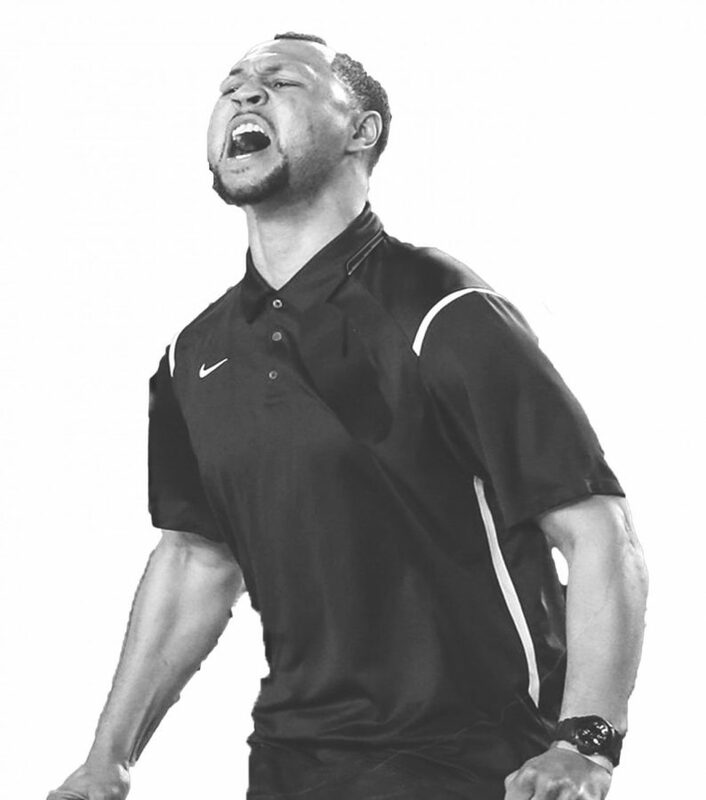 Lucky for them, Brandon Roy, former NBA all-star, ex-head coach at Nathan Hale, and Garfield alumnus announced that he would be taking over as head coach of the Garfield team for the 2017-18 season. Roy instantly influenced the mentality of the Bulldogs. “It impacted the team a lot, having someone who has played at the highest level of basketball teaching you important skills that you’re gonna need to play at a higher level,” said senior Micah Jessie, who has been playing Garfield basketball since 9th grade. Most of Roy’s coaching staff at Hale followed him to Garfield, including JayVon Nickens, a Garfield alumnus who played on the state championship team in 1998. Following Roy’s move to Garfield, an influx of talented players swept into the basketball program, including PJ Fuller and MarJon Beauchamp, who transferred to Garfield from Hale. What followed was an impressive season in which Roy led the Bulldogs to a 3A title that had been just out of reach since their last victory in 2014. After such a successful season, the Garfield community was confident that 2018-19 would promise more elite basketball and more dominance of the Metro League. After all, the roster was full of returning players, and the team was helmed by Roy, who now boasted a 57-1 record over his past two seasons. Flash-forward to today, and the team gearing up for basketball season is hardly recognizable to many Bulldog fans. What changed? In September, Garfield issued a statement revealing that Roy is stepping aside for the 2018-19 season and will be replaced by Nickens. Rumors about Roy’s hiatus have circulated since then. “I know he has aspirations in coaching at the next level,” said Mike Bethea, head coach at Rainier Beach and a friend of Roy, in an interview with The Seattle Times. Roy himself has been vague about his decision and was unavailable for comment to the Times and The Messenger. Even the Garfield players themselves seem to be somewhat out of the loop. “As of now, no one’s told me about it,” Jessie said. Despite the transition in coaching staff, Roy still has a presence in the Dog House. Roy’s departure led to a rapid roster turnover this fall, as Garfield’s top returners successively announced plans to transfer. MarJon Beauchamp and Jamon Kemp headed to Rainier Beach, PJ Fuller transferred to Findlay Prep in Nevada, and Pierre Crockrell and Tari Eason both moved to Federal Way High School. These rapid changes in Garfield’s roster seem to echo a greater pattern in Roy’s coaching career that began at Nathan Hale in 2016. In just one season, Roy turned a notoriously poor program with a 3-17 record into an undefeated and nationally-ranked championship team. Some speculated that Roy’s success was due to Hale’s transfers, which included then top player in the nation and current NBA player Michael Porter Jr., who transferred to Hale from Missouri with his two brothers. Players from around Seattle followed, and with the new talent, few returning Hale players made the team. In March, the unstoppable combination of Roy and the Porters brought Hale a state championship for the first time. When the season ended and Porter Jr. graduated, Roy left Hale to come to Garfield. Several transfers followed, and the new team brought Garfield to state and Roy to his second ring in as many years. Meanwhile, Hale finished their season 5-17, struggling after the exodus of their players and the departure of Roy. And now again, after a victorious season at Garfield, Roy is stepping aside, and Garfield players have consequently transitioned to other schools, leaving many to question the fate of the Bulldogs. There is a stark and troubling pattern in the reshuffling of these basketball programs in recent years—Roy starts a coaching position, players flock to him, and together they win a state championship. Roy then leaves a coaching position, players follow suit, and the previous program is left in disarray. Rinse, repeat. This spin cycle of victories seems to exploit the most blatant flaws in WIAA regulations that allow basketball players to easily transfer and remain eligible for the upcoming season. Players who transfer are required to have a documented change of residence for their whole family in order to be eligible. If players face a unique hardship, they can go through an appeal process, where they appear before a group of administrators who determine their eligibility. Patrick McCarthy, the Assistant Director of Athletics for Seattle Public Schools, denied any preferential treatment of basketball players in this process. However, Jessie isn’t convinced about the effectiveness of these regulations. While this surge in transfers is concerning, the Bulldogs remain confident that they’ll continue Garfield’s reputation of basketball prowess. It’s easy to question the strength of the team in such a tumultuous time, but at the end of the day, the legacy of Garfield basketball is bigger than just one coach or one roster.